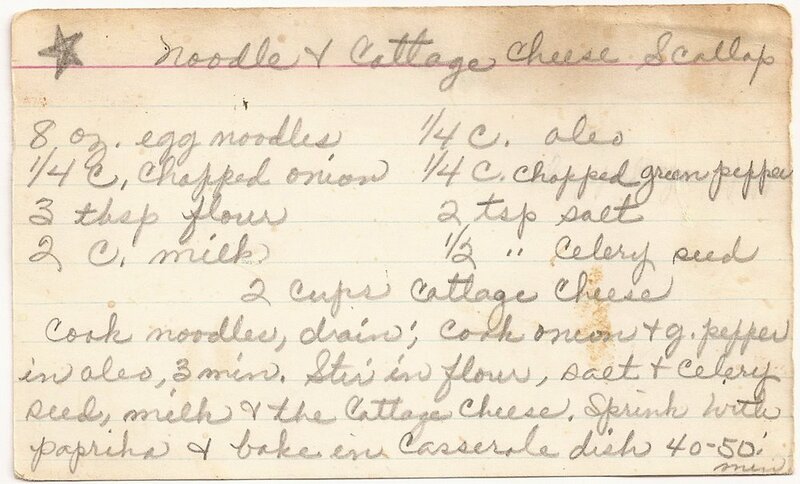 This casserole recipe reminds me of a dish my mother would make when I was quite young. I enjoy savory casseroles and am eager to give this noodle and cottage cheese scallop recipe a try soon. Cook the noodles in a pot of boiling water, then drain. In a skillet, saute the green onion and green peppers with the oleo for 3 minutes. Add the flour, salt, and celery seed. Then, stir in the milk and cottage cheese. Remove from heat. Grease a casserole dish and add the cooked noodles to it. Pour in the cottage cheese mixture and stir to combine. Sprinkle with paprika. Place the casserole into the oven and bake for 40-50 minutes.